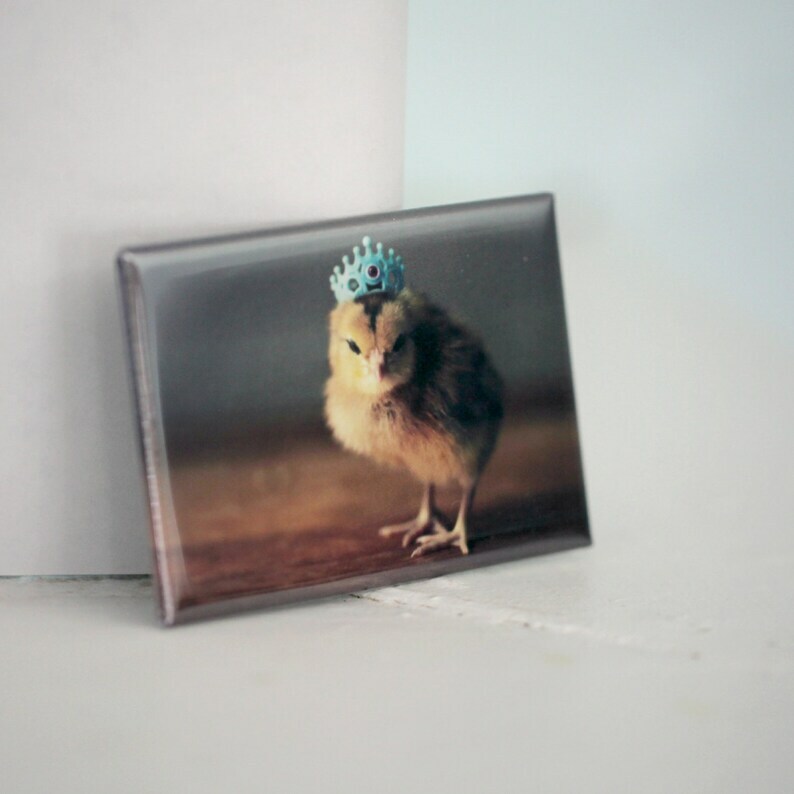 Chicks in Hats magnet featuring a chicken wearing a tiny blue crown. These heavy duty rigid rectangular refrigerator magnets measure 2.125" x 3.125" and have a strong flat magnetic back with glossy mylar cover. You get one magnet. Your refrigerator will thank you. The chicks are very cute and the vendor is very nice. I hope she will do a calendar for 2020. Adorable! I love everything chicken. Fast shipping too. I also received a nice little bonus magnet. Thanks!! Chicks in Hats Chicken in Bunny Ears Rigid Easter Refrigerator Magnet 2x3"